Lost Art Limited have developed an extensive archive of historical material that can be of value at all stages of the consultancy process. 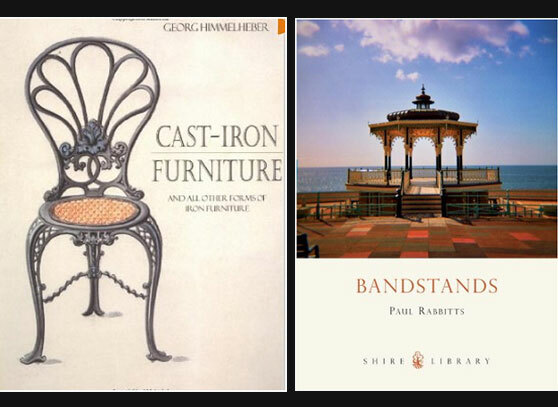 We carry physical and electronic copies of Victorian foundry catalogues from the major companies of the day, which can be of considerable help in identifying the original producer and model of a particular structure, such as a bandstand or fountain. 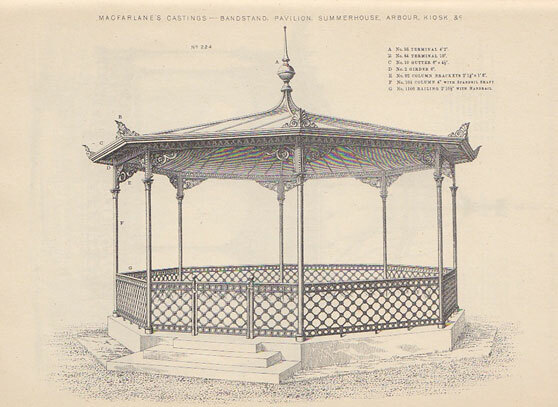 The above image is taken from an original MacFarlane Saracen Foundry catalogue and shows their bandstand model 224. 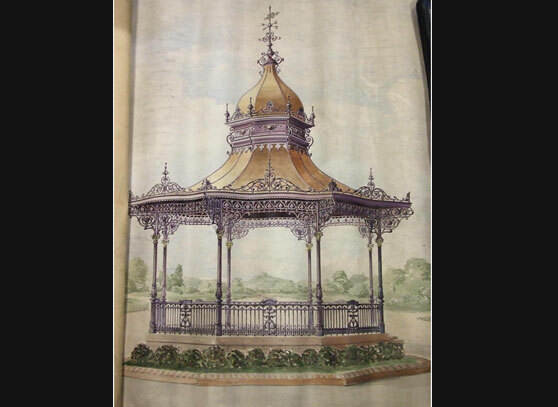 The detail in the catalogue was used to help recreate the bandstand at Wandle Park, Croydon and in our condition report and specification supplied to Wolverhampton City Council, prior to undertaking the actual restoration. 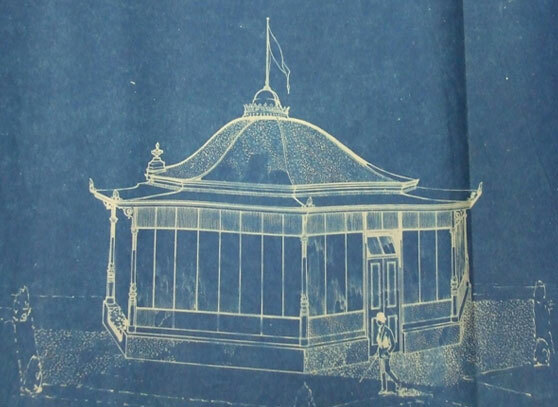 Although the Wolverhampton bandstand is not this exact model, components were often common to different models of bandstand produced by a particular company. An example of a design and build project undertaken by Lost Art Limited and completed within the allocated budget. 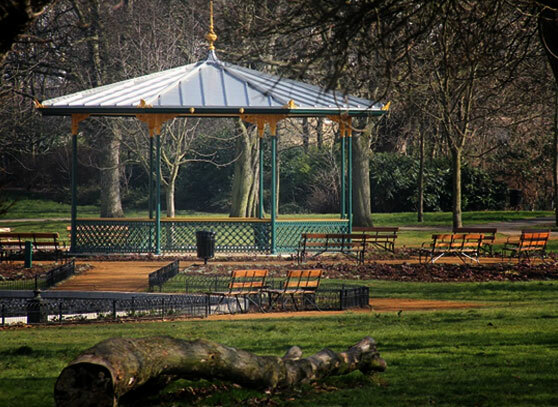 As part of a restoration and regeneration project at South Marine Park, South Shields, Lost Art Limited were commissioned to reproduce and install a copy of the previously installed bandstand. 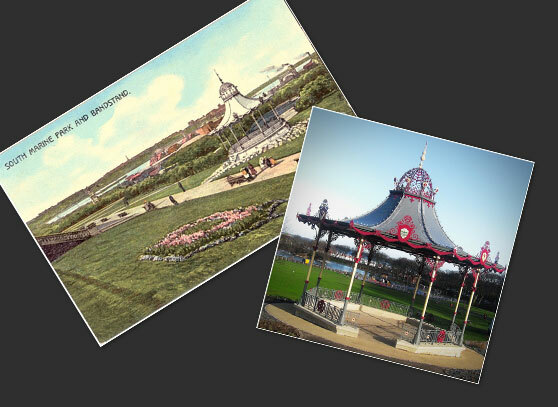 At the time of the commission all that was available to Lost Art were a series of images, mainly old postcards, showing the old bandstand. 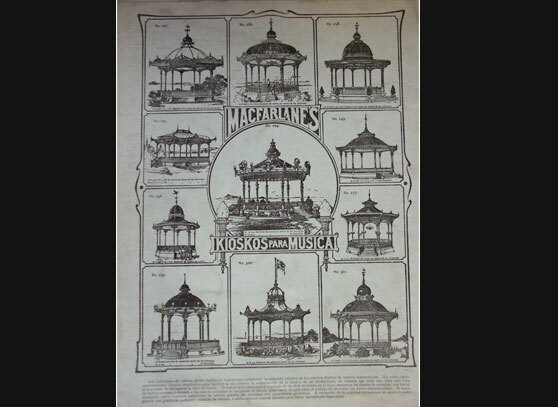 Using the historical images as the starting point for our research, the original bandstand was identified as having been produced by the MacFarlane Company of Glasgow who operated from the Saracen Foundry and were significant producers of architectural ironwork including bandstands. 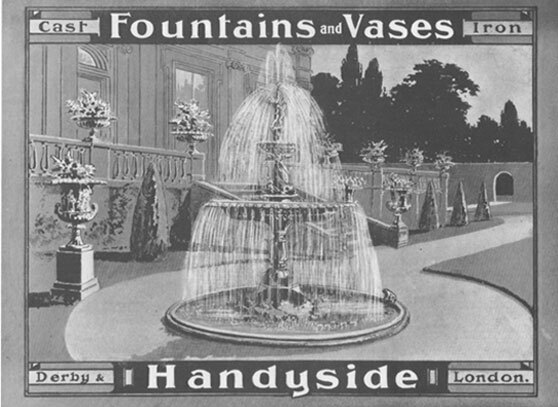 As with other notable foundries of the time such as Coalbrookdale, MacFarlane often produced products such as fountains and bandstands that were similar yet different, using various combinations of a number of stock components to create distinct constructions. Starting with Lost Art’s own collection of antique catalogues plus visits to archives as far apart as the IronbridgeMuseum in the Midlands, Bolton in the North West and Kirkintilloch in Scotland, we were able to identify many of the component parts used in the South Shields bandstand from original catalogues produced by the MacFarlane company. 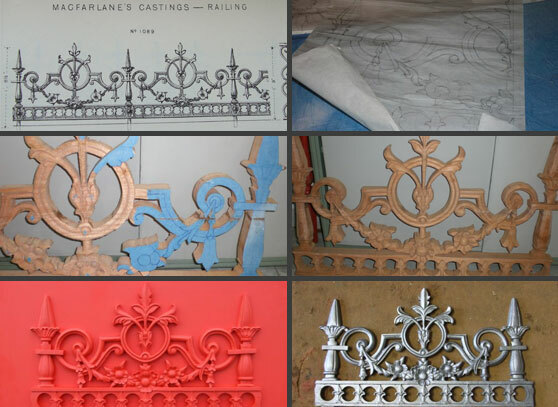 In order for us to produce new cast iron examples of these components, patterns had to be produced. The first stage of this is to produce working scaled drawings from the catalogue images. The next stage of this process involves the wood carver working with the pattern maker. Working from the scaled drawings, the wood carver produces a 3 dimensional carved wooden rendering of the scaled drawing from which the pattern maker will eventually produce the pattern from which the foundry will cast the components. As the carvings were produced and passed on to the pattern maker, he was then able to construct the moulds from which the foundry would create the cast components. The patterns are set on wooden boards and are used to make a mould in sand into which the foundry workers pour the molten iron. Following the casting process, the components are first shot blasted to remove the roughness from the surface of the metal and then fettled to remove any excess iron remaining from the casting. Having used high quality patterns and an experienced craft foundry, what remains is a crisp clean casting demonstrating a lot of clear detail. Lost Art Limited have amassed a considerable collection of historic postcards. These can be essential in identifying how structures used to look if they have subsequently removed from their original location. 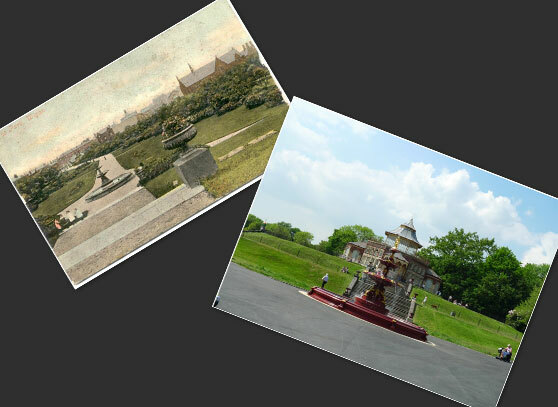 In the above examples, the Victorian Coalbrookdale Fountain had been removed from its placing in Mesnes Park, Wigan during the 1930’s. Lost Art Limited were able to use their archive to identify the original components and style of fountain before fully reproducing and then installing the fountain. The image above shows how far across the globe the products of the major companies were shipped. 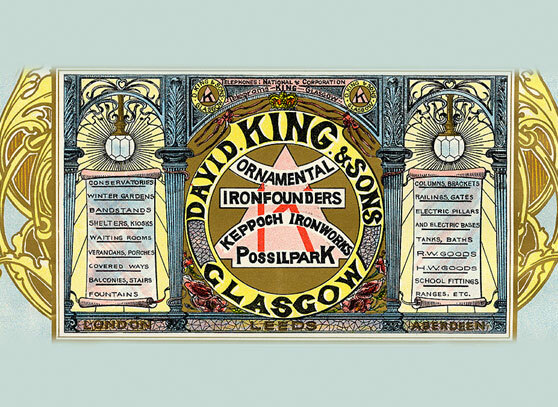 As part of their promotional literature, many of the foundry companies would provide lavish illustrations to fully illustrate a particular product for a potential customer. The above image, from the Elmbank Foundry, was supplied to Bolton Council in the hope that they would buy one of their models of bandstand. 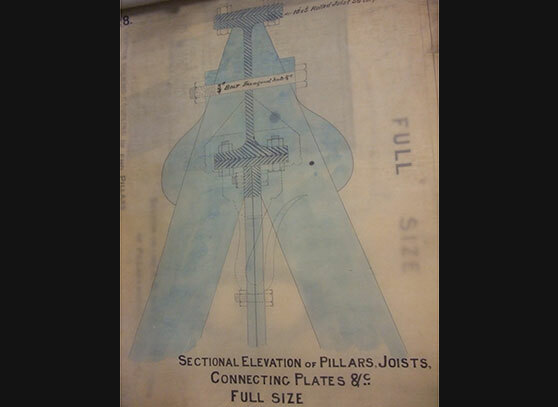 Whilst the blueprints for many projects have long since disappeared, Lost Art Limited do retain a number that they have acquired and where they are not of value for a specific project, the detail in the prints does provide useful knowledge regarding the techniques used in the original assemblies. This can be of significant value when producing method statements and job specifications. In addition to the sources described previously, Lost Art Limited also have a library of books relating to the history and development of, techniques, products and styles.